For those of you who know me…my family, friends, colleagues, and patients – you know I am pretty much evangelical in my passion for movement. My kids know that whatever ails them, my “go to” solution to nearly every problem is movement and exercise. I even named my company Movement Systems Physical Therapy. A physiologic system that functions to produce motion of the whole body or of its component parts. The functional interaction of structures that contribute to the act of moving. One can make the case that every system of the body contributes in some manner to the act of movement – from the total body level to the cellular level. You have probably heard your PT chanting, “Movement is Medicine.” Much research has shown that the first 20 minutes of moving around, particularly if someone has been sedentary, provide most of the health benefits. You get prolonged life, reduced disease risk — all of those things come in in the first 20 minutes of being active. Science shows us that, plain and simple, if you move, you will be healthier. Exercise has to be hard. Let me go on record to say that movement may correlate with pain, but correlation does not imply causation and pain does not equal harm. Let me give you an example, I rode my bike last week for the first time since last fall. While riding, I experienced onset of neck pain that I have experienced before (full disclosure, I herniated a disc in my neck while going through a divorce process 2 years ago). I thought to myself, “uh oh, here comes that nagging neck pain, most likely from this position I am in while biking.” But, I also realized that biking gives me time to think, and what had I been thinking about? Personal stresses, particularly related to relationships. I put 2 and 2 together and realized that my neck pain just might have as much to do with my emotions as from my position biking. Lo and behold, my neck pain gradually dissipated over the course of the ride. Granted, I checked my posture, and made sure my breathing pattern was in the right synergy, but I also relaxed into my ride and allowed the beauty of movement do its magic. Truth be told, even if I had experienced neck pain, I would have concluded that the benefit of the exercise far outweighed the “pain in the neck.” I did not interpret the neck pain as a “threat,” and was able to enjoy my ride. I know what you may be thinking, “Carrie, you are a physical therapist and you knew what to do.” I will agree wholeheartedly, and that is why we believe that everyone should have a physical therapist to do just that – help them perform exercise safely and to decipher when and how to modify exercise and movement for benefit rather than harm. As a physical therapist, I am concerned with preventing all types of diseases through proper prescription of exercise, but at the end of the day, we all know that if you cannot tolerate exercise, for whatever reason, you will not continue to exercise, and potentially resort to the fate of many – a sedentary “couch potato” lifestyle. Or, on the other end of the spectrum, exercise so vigorously that you end up with a significant injury that forces you slow down, or stop your exercise, albeit temporarily (but we do not want to live with you during that grumpy recovery time). So, how do I, as a physical therapist, know how to prescribe exercise safely, effectively, and help you to incorporate it as a vital part of your lifestyle just as brushing your teeth? My education has provided me with all the knowledge of the physiologic and biomechanical systems involved in movement, but one concept stands out: MECHANOTRANSDUCTION. Mechanotransduction refers to the processes through which cells sense and respond to mechanical stimuli by converting them to biochemical signals that elicit specific cellular responses. These cellular responses, in turn promote structural change. 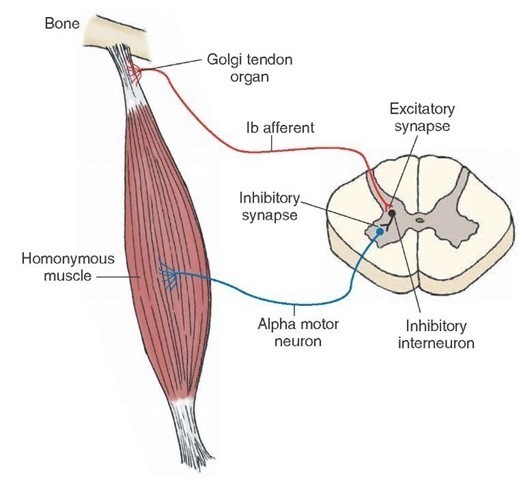 A classic example of mechanotransduction in action is bone adapting to load. A small, relatively weak bone can become larger and stronger in response to the appropriate load through the process of mechanotransduction. Warning: Common side effects of exercise may include increased heart and respiratory rate, gradual weight loss, improved sleep, moments of calmness, reduced fatigue, improved digestion and bowel function, increased bone and muscle mass, and improved brain function. Some patients have experienced pain followed by periods of euphoria. Withdrawal effects include gradual weight gain, fatigue, weakness, increased risk for bone loss, and feelings of sadness or depression.